When Ken Busch began planning his second floor room addition (which would include a glass block steam shower) he had a vision of what the final master bathroom would look like – but he also wanted to stayed flexible to change features as the project progressed. 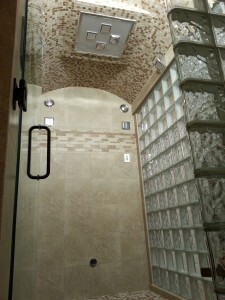 This flexibility allowed Ken to find some truly unique products and services that created a steam shower that really stands out. Learn below about some the products and installation approaches that really helps this shower pop. Deluxe Kohler shower, light and sound system – Wow is all that can be said when you see the impact of this Kohler showering system. 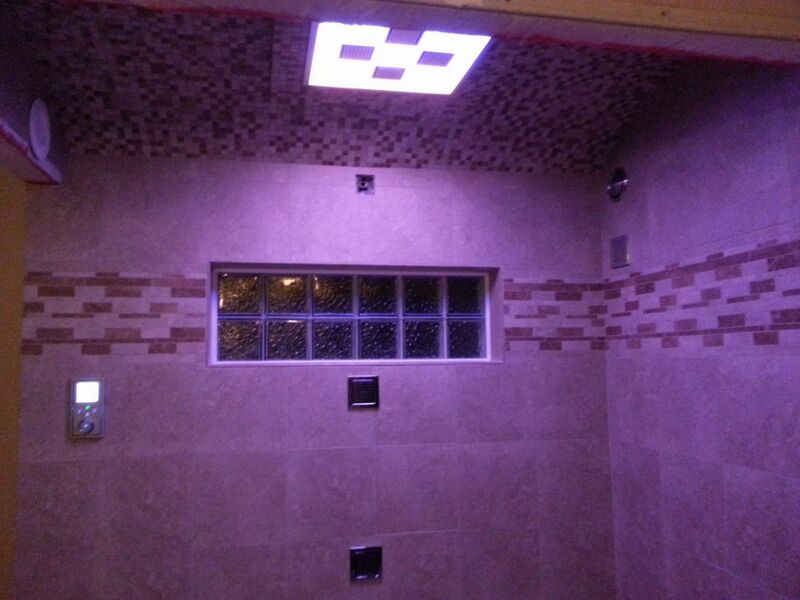 This installation included a rain shower head, 5 body sprays, a high end sound system, LED lighting with over 50 different colors and the ability to have 6 different water temperature presets as well. 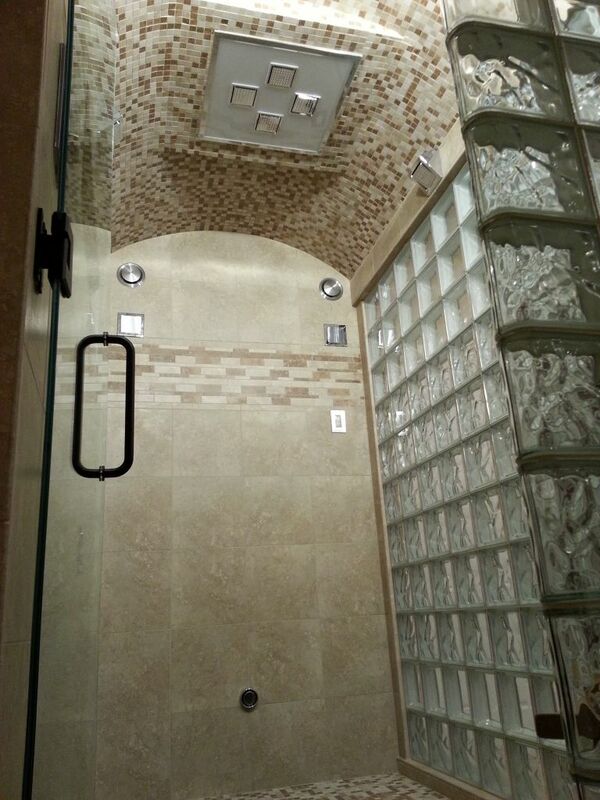 This shower has all the bells and whistles to make it a true spa-type experience! Creating a water-tight enclosure space – Steam showers may look luxurious – but it is critical they be designed to be water tight to ensure an installation that last over time. 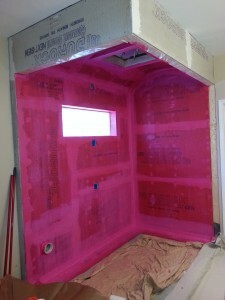 Ken used a closed cellular foam product between the studs in the wall and then applied 4 thin coats of Red Guard waterproofing over the cement backer board (note – other good ways to waterproof also included using a Wedi extruded polystyrene backer boards or a Kerdi system). In addition all the tile and glass block joints were finished with a urethane grout which never requires resealing and absorbs much less water than standard sanded grout. 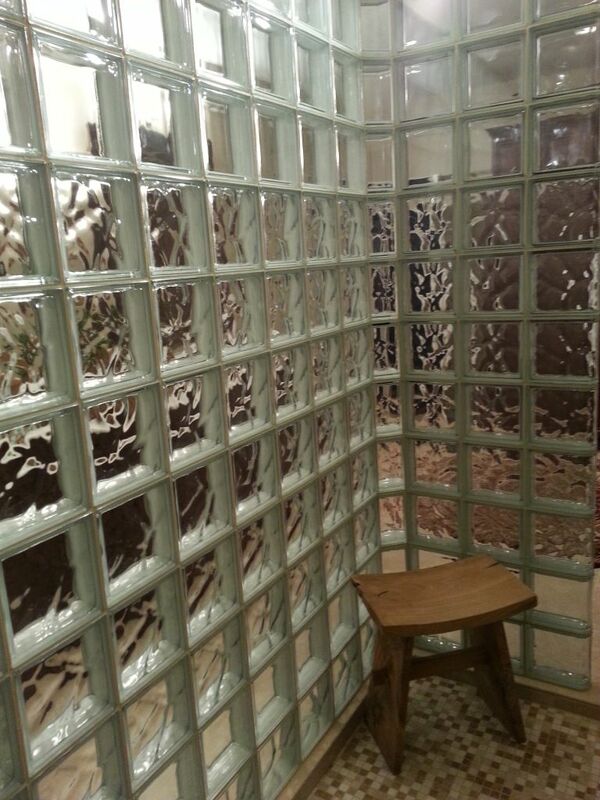 Arched shower ceiling – To create an even more stylish impact the shower ceiling was framed and tiled in an arch – how cool is that? 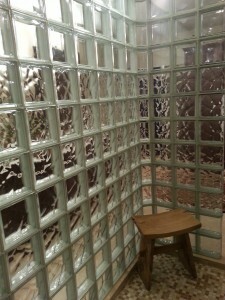 Glass block shower window – To pull in natural light while maintaining privacy a glass block shower window was used (the pattern chosen here was Seascapes – some people call this block a “bubble block”). 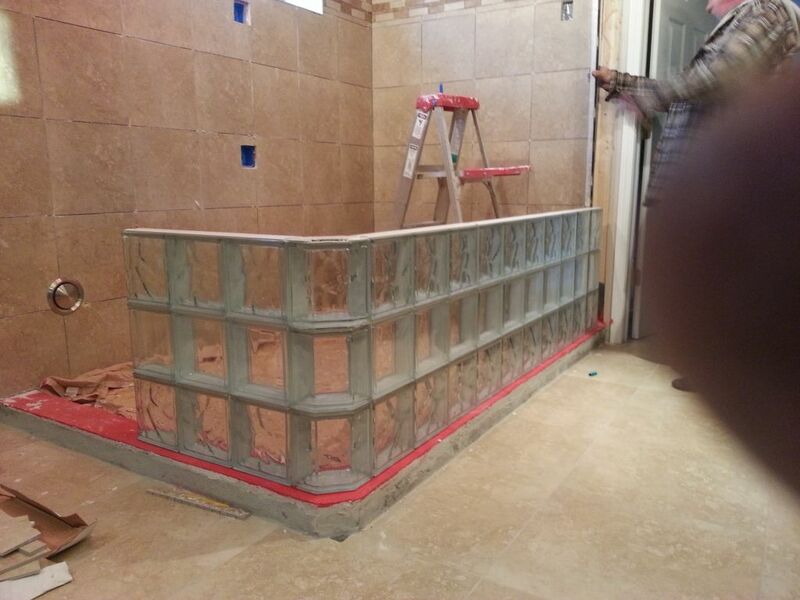 What do you think about the product features used in Ken’s glass block steam shower? Do you have any questions or want feedback on doing this type of project? Please comment below or call one of the numbers below. 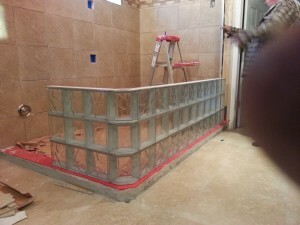 To learn more or get an estimate on a glass block steam showers or bathroom remodeling visit or call Innovate Building Solutions on a nationwide basis (877-668-5888) or for a local project their divisions including Columbus Glass Block (614-252-5888), Cleveland Glass Block (216-531-6363), West Side Glass Block (216-398-1020) Mid America Glass Block (513-742-5900) of Cincinnati or Dayton and Akron (330-633-2900) or Cleveland Design & Remodeling (216-658-1270). This article was authored by Mike Foti.